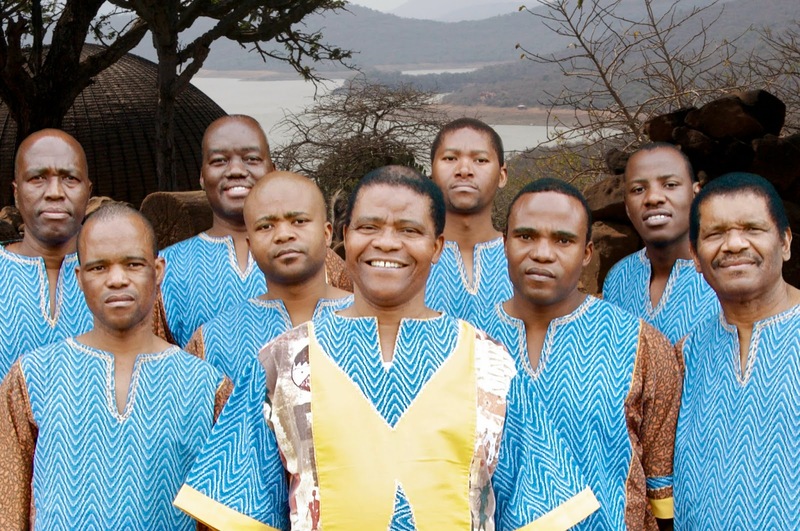 I don't know about you, but I fell in love with Ladysmith Black Mambazo back in high school when we were working in choir on a capella songs for competition. They had it going on then and they still do today. Since then, they have gained popularity (and a place in pop culture with their Lion King appearance). And with their concert coming to Omaha on February 20, I learned a little more about the group that fascinates and inspires me. Full ticket information below, but if you are interested in seeing Ladysmith Black Mambazo live, tickets are available at Ticket Omaha for their show on February 20 at 8:00 p.m. Here is a video of Ladysmith Black Mambazo performing at YouTube headquarters. Check out this information from their press release. I've always been impressed by the group, but this goes beyond amazing for one group to accomplish so much. 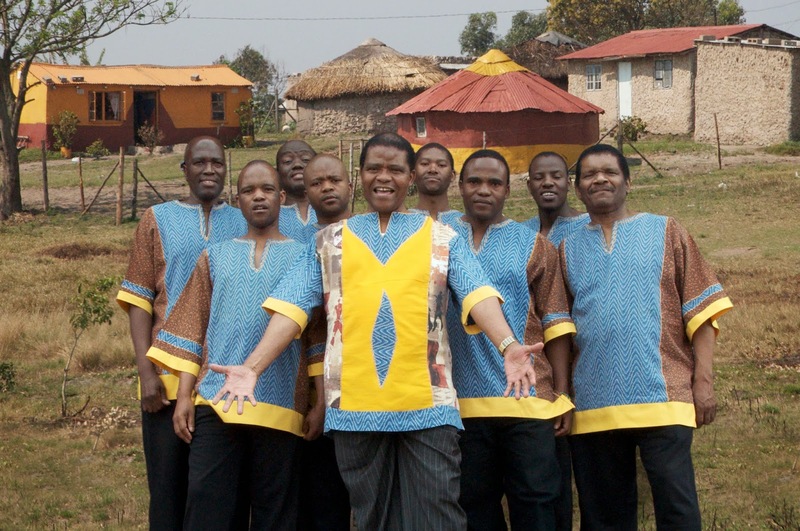 The South African a cappella vocal group, Ladysmith Black Mambazo, has been performing worldwide for more than 50 years. A young farmer, Joseph Shabalala, formed the group in the early 1960s. The name comes from his hometown, Ladysmith; Black being a reference to the oxen, the strongest of all farm animals; and Mambazo, the Zulu word for chopping axe, a symbol of the group’s ability to “chop down” any singing rival who might challenge them. The group sings from a traditional music called isicathamiya (is-cot-a-ME-Ya), which developed in the mines of South Africa. 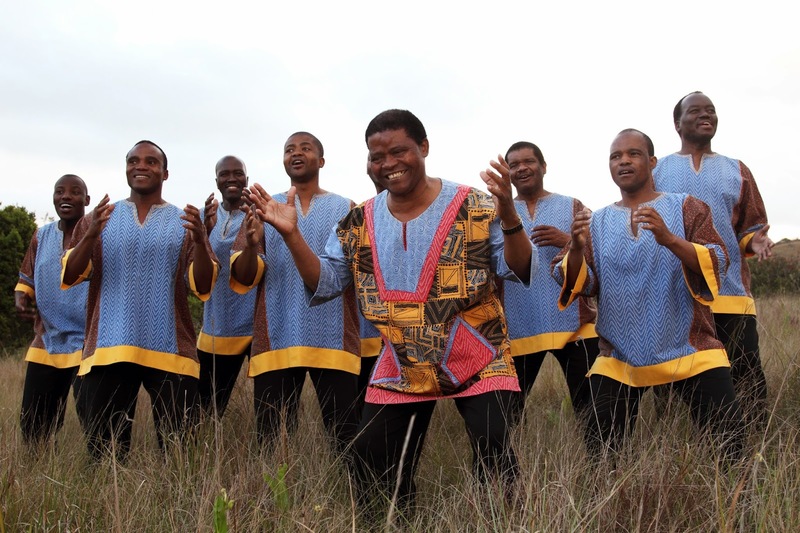 Ladysmith Black Mambazo’s discography includes more than 50 recordings; 15 albums have earned Grammy Award® nominations, and several have won – including their first worldwide release, Shaka Zulu, which won a Grammy® in 1988. Their 2014 release, Always With Us, is a tribute to the group and Shabalala family matriarch, Nellie Shabalala, Joseph Shabalala's wife who passed away in 2002. The collection of songs are recordings Nellie made with her church choir; Ladysmith Black Mambazo added their voices to the recordings. The group has collaborated with many artists, starting first with Paul Simon on his Graceland album in 1986. Others they’ve worked with include Stevie Wonder, Dolly Parton, Sarah McLachlan, Josh Groban, Emmylou Harris and Melissa Etheridge. They’re included on film soundtracks for Disney’s The Lion King, Part II, Coming To America, A Dry White Season, Cry The Beloved Country and Invictus. The film documentary, On Tip Toe: Gentle Steps to Freedom, the Story of Ladysmith Black Mambazo, was nominated for an Academy Award. 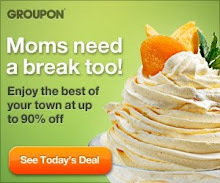 They have appeared on Broadway and have been nominated for Tony Awards®. The title the group holds most dear is that of "South Africa's Cultural Ambassadors to the World. This honor was bestowed upon the group by the late Nelsen Mandela and they dedicate themselves to sing for peace around the world. Friday, February 20, 2015 at 8:00 p.m.